I am very much honored to welcome you to Polytechnic Institute ULK, whose foundation goes back in October, 2014. 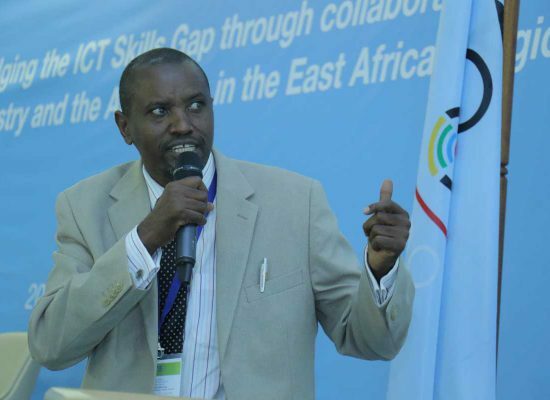 The idea to put in place such an institute came after realizing that Rwandans and even people from beyond the borders have an increasingly burning desire to acquire technical skills which enable them to become job-creators other than job seekers. Currently, the institute runs two departments: Civil Engineering as well as Electrical and Electronics Engineering. The former has Construction Technology and Land Survey Engineering as options while the latter has Electrical Technology as well as Electronics and Telecommunication Technology as options. Besides, the institute also organizes short courses in Linesman Training, Solar Systems training as well as Masonry and Plumbing training. It is our firm belief that whoever invests in the above fields will never regret the choice he will have made. He will instead be proud of the unparalleled skills the job-market needs. Ever since the ribbon cutting ceremony took place to inaugurate this institute, a stream of students has continued to get registered so as to pursue their technical dreams. Those who have so far been enrolled are gladly undertaking the training with hope to utilize the unquestionable skills drawn from class once they reach the marketplace. It is worth informing that Polytechnic Institute ULK is a contemporary institute which intents to educate, inspire and prepare students to meet the challenges of an increasingly complex and globally interdependent world. The content of the curriculum within Polytechnic Institute ULK is geared towards educating students as well as enriching them. With Polytechnic Institute ULK, students are expected to acquire knowledge and skills and to develop moral, ethical and principled character that will be reflected in their personal and professional life. With the culmination of their studies, students will embark upon careers as professionally trained and intellectually fulfilled individuals who are pro-active, participating members in society, from local communities to international. We therefore encourage each and everyone especially young people to follow in the footsteps of the already registered students and join Polytechnic Institute ULK for their brighter tomorrow.